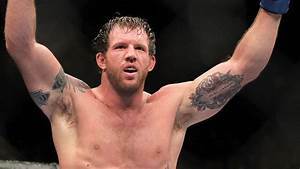 Ryan Bader and Efrain Escudero won their divisions in The Ultimate Fighter Season 8 finale. Escudero won the lightweight tournament with a unanimous decision over Phillipe Nover, while Bader knocked out Vinny Magalhaes in 2:18 to win the light heavyweight bracket. The coaches for TUF 8 were UFC interim heavyweight champion Antonio Rodrigo Noguiera and Frank Mir, who battled for the title two weeks later at UFC 92. Bader and Escudero were both members of Big Nog's team. In other bouts, Anthony “Rumble” Johnson knocked out Kevin Burns with a head kick in Round 3. This was a rematch from UFC Fight Night 14, where Burns won by TKO with an eye poke, rather than being disqualified. Wilson Gouveia forced Jason “The Athlete” MacDonald to tap out to strikes at the 2:18 mark. Junie Browning opened the Spike TV broadcast by defeating Dave Kaplan with an armbar in Round 2. The preliminary bouts featured the other TUF 8 competitors. In the lightweight division, Shane Nelson beat George Roop by split decision; and Rolando Delgado defeated John Polakowski with a guillotine choke in Round 2. Light heavyweight results included Tom “Filthy” Lawlor over Kyle Kingsbury by unanimous decision; Elliot Marshall over Jules Bruchez with a rear naked choke in 97 seconds; and Krzystof Soszynski over Shane Primm by submission to a kimura in Round 2.